But, to paraphrase one more aphorism, the cure for low prices is … low prices. The further gold falls, the more pessimistic futures speculators become, to the point that they’re now close to being net short, something that hardly ever happens. On the following chart the speculators are represented by the silver bars and “commercial” traders (who tend to be right at big turning points) are red. Both groups are trending towards the “neutral” mid-point of the chart, which in the past has proceeded big up moves in gold’s price. Meanwhile, seasonality continues its slow but steady march out of the summer doldrums and towards what is usually a much stronger winter and spring. The following chart shows what happened towards the end of each of the past five years, as Chinese and Indians loaded up on gold for Spring/Summer wedding gifts and as savings for post-harvest cash. There’s no reason to expect them behave differently next time around. (NewsMax) – Russia is buying up gold while liquidating U.S. Treasury securities to avoid “political blackmail,” according to a precious metals market analyst. The country’s gold holdings have quadrupled over the past 10 years, with Bank of Russia data showing the totals are approaching 2,000 tons and representing 17 percent of Russia’s total foreign reserves. Combine improving precious metals market internals with a global trade war and other geopolitical tensions, the suddenly-erratic behavior of formerly rock-solid FAANG stocks, and the rise of populist (read big-spending) political parties around the world, and the stage is set for a nice move in gold’s price – one that might finally have legs that take it beyond the first few months of the year. 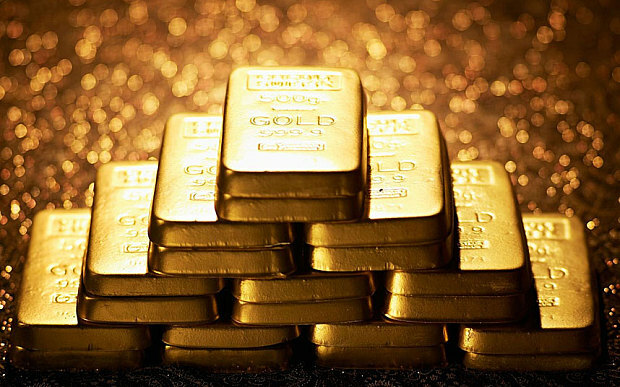 Which means the junior miners are poised to rocket higher – click here for commodities analyst Marin Katusa’s take on that subject – while secure gold and silver bullion storage will soon come back into favor.